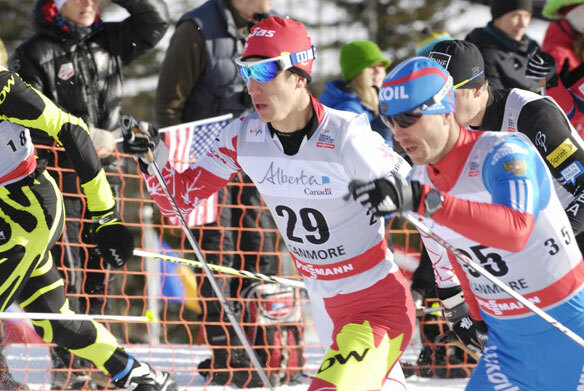 Favourite Sports Memory: Finishing with the lead pack (in 15th place) at the Canmore World Cup in December 2012. I was so happy to finally prove to myself that I was capable of racing with the best in the world. How you got involved in your sport: I started skiing with the TEST program in Whitehorse, Yukon. This was a program started in the Yukon and Northwest Territories to encourage Northern youth to get active and see their talent in sport. I worked my way onto the Yukon Ski Team when I was 14 and won my first National Championships when I was 17. The moment you knew you wanted to represent Canada: I was 17 when I watched Simon Whitfield win gold in Sydney. His poise and passion really inspired me. This inspiration came on the heels of my first National Championship, convincing me to take my skiing to the next level. CAN Fund Testimonial: CAN Fund makes a huge difference in the daily lives of so many athletes. They allow me to stand on the start line knowing that I have taken every opportunity available to prepare myself for success. Share one valuable tool that you use on a daily basis that helps you to be the best athlete you can be: I take a short nap in the middle of every day. This gives me the energy I need to get the most out of my afternoon workouts and helps me to recover completely from my morning training. Who is one person in your life that has impacted your career and what was it that they taught you: The head coach of the Yukon Ski Team, Alain Masson (skiing and cycling Olympian). He coached me from the age of 14 to 17. In that time he taught me how to be an efficient skier across all conditions as well as how to live the lifestyle required of an elite athlete. Have you read any articles or books or watched any videos or movies recently that really inspired you: The Four-Minute Mile by Roger Bannister and Once a Runner by John Parker. These books detail the very different progressions two endurance athletes took to reach the top of their game. I draw lessons from both these progressions regularly in my training and recovery decisions. Fun Facts: I love to fly fish around my Canmore and Whitehorse homes. I also have a weak spot for Kettle Chips.